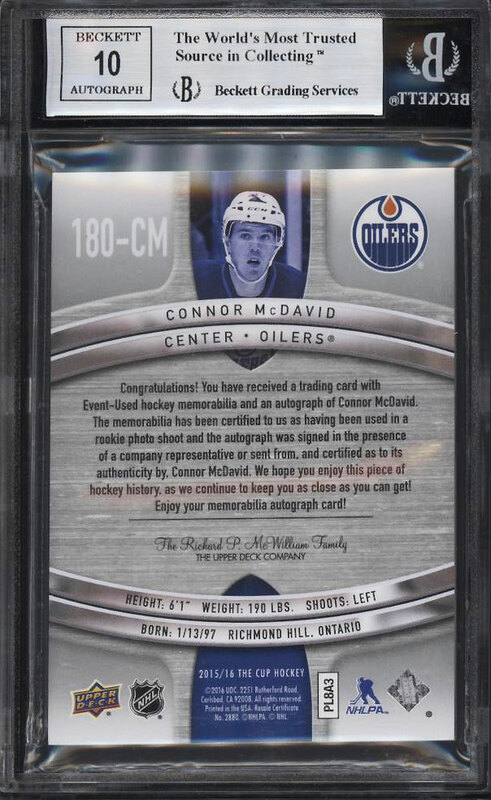 A jaw dropping '15-16 The Cup Tribute Connor McDavid rookie card up for auction this month. 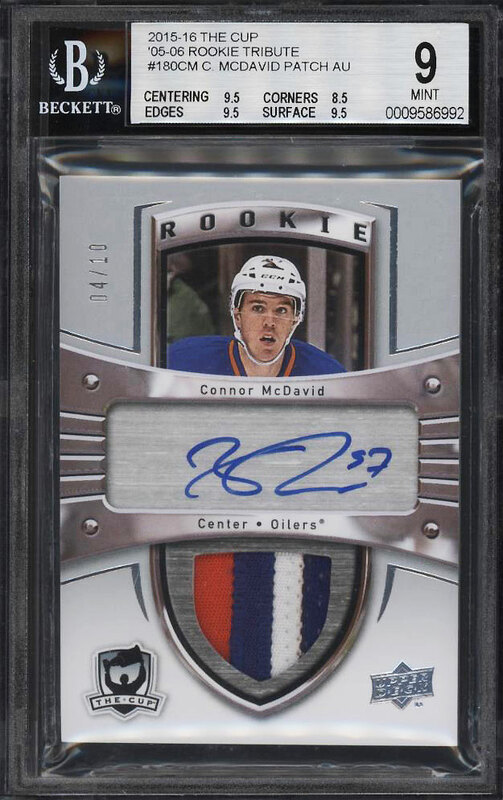 This issue pays tribute to the ultra popular '05-06 The Cup production and easily ranks as McDavid's most beautiful and desired issues. The offered BGS 9 example ranks among the finest copies in the hobby and is just a whisker away from the overall '9.5' designation. The card possesses exceptional GEM MINT centering, edges and surfaces. All four corners have the faintest of touches present and seem worthy of the '9' sub-grade. The autograph is undeniably pristine and boldly struck in blue ink. Perhaps what's most impressive about this card is the fact that it possesses a spectacular three color jersey patch. McDavid continues to dominate the NHL and seems poised for a HOF type career. All told, this is an incredible modern rookie card which is sure to have a high rate of return. Deserving of serious attention. One of over 16,000 cards, lots and sets up for bid in our 1st Auction of 2019. Click on the link above to view the other PWCC auction lots.